No major changes afoot for the popular luxury crossover. The second generation BMW X3 has been a big hit, so the Bavarian carmaker is making just minimal changes to what is an already successful design. Hence the minimal camo on the prototype that was recently spied testing on the street. As is the facelift norm, small tweaks will be made to the front and rear bumpers, while a new square-shaped exhaust will eventually be fitted and the lights will receive minor adjustments. 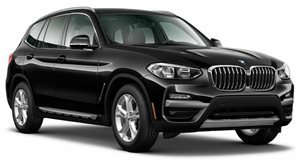 As BMW only updated the X3’s engine lineup last year, expect for the US offerings to continue with the base xDrive28i model’s 240-hp 2.0-liter turbo-four pot and a 300-hp X3 xDrive35i. The 2015 BMW X3 will debut at the end of the year and launch next summer alongside the new BMW X4.